The United Arab Emirates likes to be first when it comes to amazing feats of construction and technology, and architecture in Dubai is constantly pushing the envelope. The world’s tallest building already towers over Dubai’s skyline, and now the city is planning to build the world’s first fully 3D-printed office building. 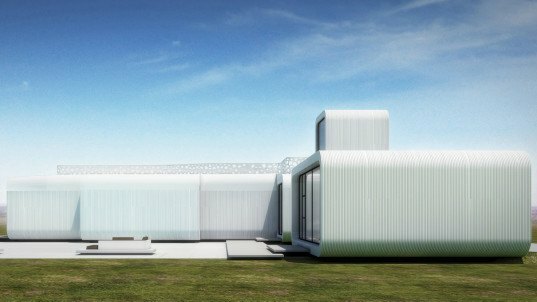 It’s a cool, space-age structure that will save a bundle on construction costs and material waste. The office building will take just a matter of weeks to construct. The overall structure won’t be that big in terms of scale, covering just 2,000 square feet (186 square meters), but it’ll be huge for the 3D-printing history. The building will be the world’s first fully-functional 3D-printed office building, and will serve as operations headquarters for the recently opened Museum of the Future, which is located nearby the building site and also features 3D-printed components. 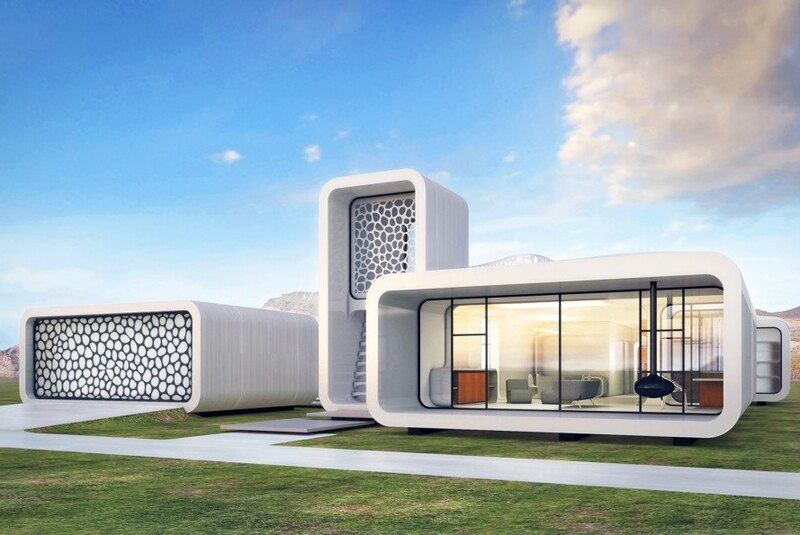 The office building will be printed one layer at a time by a 20-foot-tall 3D printer, and then assembled onsite. What’s more, all of the furniture, fixtures, detailing, and structural components will also be 3D-printed, making this endeavor the most ambitious 3D-printing project in architectural history. The project represents the combined efforts of Dubai and WinSun Global – a joint venture between Chinese 3D-printing technology firm WinSun and international investors; leading global architecture firm Gensler, along with Thornton Tomasetti, and Syska Hennessy, are all involved in the delicate process of making 3D-printed architecture history. 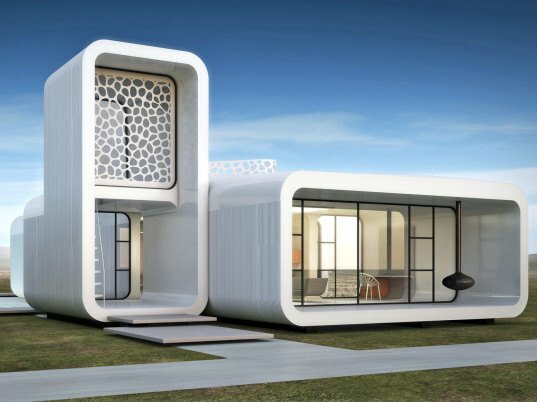 Although 3D-printed building technology is still somewhat new, many in the industry are looking to 3D printing to speed up construction times, lower costs, and reduce material waste. Production times can be cut by as much as 50 to 70 percent, while 3D printing can reduce labor costs by 50 to 80 percent, according to experts. These techniques can also eliminate up to 60 percent of construction waste, making 3D printing a viable environmentally-friendly alternative to traditional building methods. Planners haven’t announced when the 3D-printed office building will be constructed, but since the whole process will only take a few weeks, we hope to hear it will happen soon. Check back for updates, as we’ll definitely be watching this historic project closely and curiously.